As the Development Director for the Ponderosa Center, Nicole supports the Board of Directors, Campaign Cabinet and Committees in every aspect of developing the Center and its future. Born and raised in New Orleans, Louisiana, she attended the University of New Orleans. Her diverse professional background includes event planning, retail bank management, financial sales and non-profit management. 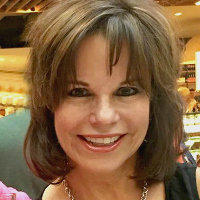 During her time with the McCall Area Chamber of Commerce and Visitors Bureau she assisted in the creation of the Visit McCall magazine, development of the West Central Mountains Leadership Academy, and participation in the America’s Best Communities Contest Committee. 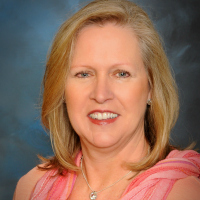 Nicole has served in Board leadership roles in the Amite, Louisiana Chapter of the National Association of Junior Auxiliary, Amite Chamber of Commerce Board of Directors, the Board of Directors for the North Tangi Soccer Association and numerous committee appointments through the years. She is a current member of the Board of Directors of the West Central Mountains Economic Development Council. Nicole, her husband and two children relocated to the West Central Mountains in 2013 and look forward to being a part of this amazing community for many years to come. Michael (Mike) Anderson is one of the original incorporators of Ponderosa Center, Inc. and has been participating in this initiative from its inception. He has been a permanent resident of McCall for 30 years and is the Designated Broker and co-owner (with his wife, Beverly) of the McCall Real Estate Company. His professional background includes residential and commercial construction, land development, aircraft certification & modification, and manufacture of aviation & marine products. He recently celebrated his 50th anniversary as both a Commercial Pilot and A&P aircraft mechanic with Inspection Authorization. Mike is active in local economic and community development pursuits and has served on a number of committees and boards including: The McPaws Regional Animal Shelter, The Idaho Aviation Foundation, and The McCall Airport Advisory Committee. His many varied interests include bicycling, Alpine and Nordic skiing, hiking, camping, backcountry flying, boating, and motorcycling. Michael Eck, is a founding principal of the Ponderosa Center and is passionate about creating a vibrant, imaginative gathering space that fosters knowledge, imagination, social, and culture enhancing experiences that will shapes our community through the generations. Mike and his wife, Nancy lived in Europe and throughout the US; and are now fortunate to call beautiful McCall home. Their love for the area is shared by his entire family including his three grandchildren Piper, Lincoln and Adeline. Michael spent his professional career in the medical diagnostics and biotechnology industry in senior management roles. He was the founder and CEO of two biotechnology companies, AcroMetrix and Domus Institute. Additionally, Michael was a former member of our Armed Services, serving as a Captain in the US Army. Margie was born and raised in Philadelphia, PA but after marriage lived in the Midwest for many years; Sioux Falls SD & Sioux City, IA. She and her husband, Richard bought their home in McCall in 2004 and are full-time residents. They have four grown children, nine grandchildren and one great-grandchild. Margie is involved at St. Andrew’s Episcopal Church, the McCall Music Society and P.E.O. 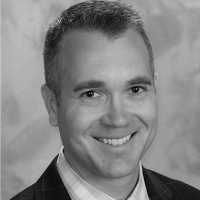 along with participating as a Board Member for Ponderosa Center, Inc.
Mike began his Edward Jones career as a financial advisor in Lafayette, CO. After falling in love with his wife and Valley County, he moved his business to McCall in 2010. A 1999 graduate of the United States Military Academy at West Point, Michael has a Bachelor’s Degree in Economics with a Minor in Mechanical Engineering. He has served both in war and peace time in the U.S. Army and the Michigan Army National Guard. He continues to serve in the U.S. Army Reserves as a Lieutenant Colonel with the Inspector General Corps. Mike believes philanthropy and community involvement are very important. 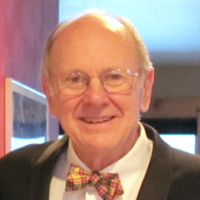 In addition to the Ponderosa Center Board of Directors, he currently serves on the McCall Area Chamber of Commerce Board of Directors as Past President, St. Luke’s McCall Hospital Taxing District Board of Directors and the McCall Rotary Foundation Board of Directors. Previously, he served as Chairman for Project Welcome Home Troops, a national organization that helps to heal our veterans with post-traumatic stress. Steve Clements brings a wealth of business development and corporate management experience after a 30 year career in the concrete and aggregate business that spanned the Pacific Northwest, Australia and brought him back to his hometown of Boise as a business owner. Steve holds a BBA in Marketing and Finance from Boise State University and completed the Executive Program at Stanford University. As an active participant in his community he has served on many local and regional Boards. Steve is a member of the McCall Rotary, where he served as President and was a Board Member of Boise Metro Rotary. He is currently a Planning and Zoning Commissioner for the McCall Impact Area, St. Luke’s Hospital McCall District Board Member, and President of Kings Pines Estates HOA, in addition to the Board of Directors for the Ponderosa Center. Steve and his wife Sue have lived in McCall since 2011, and have been homeowners here since 1999. They are the proud parents three children and have three grandchildren. 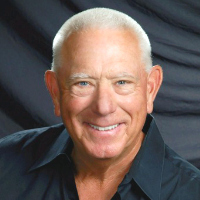 John practiced Dentistry in Grangeville, Idaho for 31 years. He is an Idaho native, has been a McCall area homeowner for 40 years and since retirement ten years ago, he and his wife Ann are full time residents of McCall. 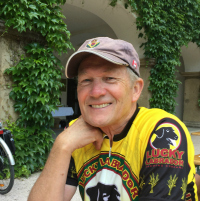 John is a past member and Chairman of the Syringa Hospital Board, the Syringa Hospital Foundation in Grangeville and past member of the Central Idaho Mountain Bike Association Board in McCall. Currently, he is a member of the Community Medical Fund Board in McCall and a member of the Board of Directors for the Ponderosa Center. 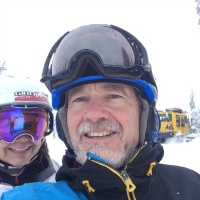 When Craig is not writing and visiting schools, he keeps busy with enjoying the beauty and many outdoor recreational opportunities in McCall including hiking, biking and golf. He is Past President of the Rotary Club of McCall, a Friend of the (McCall) Library and serves on the McCall Public Arts Committee. Craig spent over 30 years in government working for US Naval Intelligence in various fields of work including Anti-Submarine Warfare, International Programs and Homeland Defense. Craig has a Bachelor of Arts in Computer Science from San Diego State University and Masters in National Security Strategy from the National War College. 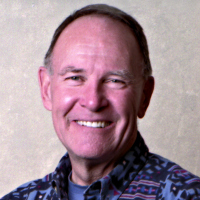 He is an award-winning author of adventure stories for children, including The Secretous Sign, The Riddle of Shipwreck Sound, The Tall Trees, Discovering Sharlie and the Yellowstone Yeti. Discovering Sharlie was the recipient of a first place award in the 2015 Idaho’s Top Author Awards-Children’s Book Category. His first chapter book, The River of No Return, is due out in 2019. Craig and his wife, Becky, have been married for 44 years and have two children and three grandchildren. David was born in Northern California, but has always felt that McCall was his home. From the age of seven, he has spent nearly every summer and winter vacation here. 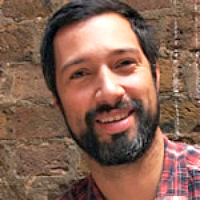 After gaining a degree in International Relations and Economics from Boston University, David lived in London for nine years, working as a manager in five-star, luxury hotels. David and his wife, Ruth, moved to McCall in 2004 and are thrilled to be raising their two children here. David is an active participant in several organizations and is committed to the success of the community. He has served on the Board of Directors for the McCall-Donnelly Education Foundation since its formation, as President for three years and is currently Vice-President. David served on the McCall Area Chamber of Commerce Board of Directors for four years and is part of the Marketing & Special Events, and Facilities & Operations Committees of the Ponderosa Center. Barrett grew up in McCall, oftentimes spending afternoons or weekends at his dad’s CPA firm shredding documents or filing paperwork as apart-time job. After graduating from Boise State University with his degree in Accounting in 2009, Barrett began working for a real estate development company in Boise performing all their in-house accounting needs. In 2012, Barrett’s dad, Rick Lamm, approached him about taking over the accounting practice he had built since 1989. Knowing this would require more than filing and paper shredding, Barrett acquired his CPA license in the fall of 2013 and he and his father began the ownership transition in January of 2014. In 2017, Rick transferred his remaining ownership and Barrett purchased another accounting firm in Grangeville, Idaho. When he’s not running two accounting offices, he loves spending time with his wife and kids. He enjoys golfing, hiking, hunting, fishing, wakeboarding, wakesurfing, snowmobiling, skiing, and working in his wood shop. He also volunteers on various non-profit boards and organizations in the community. Sherry has recently returned to the real estate industry after a distinguished career with Idaho First Bank in McCall as Vice President- Chief Deposit Officer. Sherry serves the regional community through her position on the West Central Mountains Economic Development Council (WCMEDC) as Board President, The West Central Mountains Community Foundation (WCMCF) as Board President, as a Steering Committee Member on the WCM Community Partnership and as a Board Member and Campaign Cabinet Member of the Ponderosa Center. 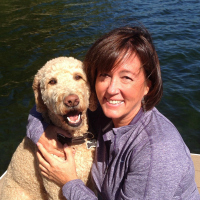 Sherry has served in numerous leadership roles with the McCall Area Chamber of Commerce and is currently the Steering Committee lead of the Northern Valley Recreation District. Sherry and her husband Fred live in McCall, have two grown sons, a daughter in law and two granddaughters. 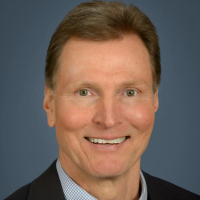 Bruce Ludwig is CEO of Ludwig Capital, an International Real Estate consulting and capital supplier to real estate investors around the world. 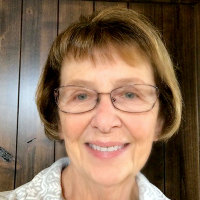 Joan Edwards brings a wealth of experience in higher education and foundation administration to the Ponderosa Center organization. She is the Vice Chair of the Campaign Cabinet and is a member of the Community Relations Committee. Dr. Edwards dedicated 35 years of her career to the advancement of community colleges. She served as Vice President of Planning, Research and Development at the College of Southern Idaho and developed the CSI Foundation. 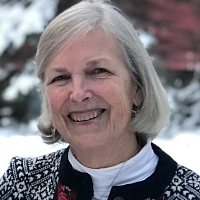 She was the Vice President of Planning, Research and Development at the College of Western Idaho, served as a founding member of the CWI Foundation and was part of the President’s Cabinet. Dr. Edwards has served on numerous boards throughout her career, including Southern Idaho Learning Center, the St. Alphonses Hospital Foundation, the American Association of Women in Community Colleges, the National Council for Resource Development, the National Institute for Leadership Development and the McCall Hiking Club. Joan and her husband Mel are active members of the McCall Community, as well as avid bike riders and skiers. Eric and his wife Jane have owned a home in McCall since 1998. They built the place originally to be a weekend getaway, and transitioned as full time residents in March of 2014. Eric worked for Hewlett Packard for 25 years, moving from Arizona to Boise. At HP he was the North American Business Development Manager and the US Channel Sales Manager. 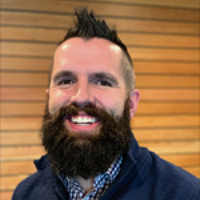 Eric has a passion for connecting people with ideas and enjoys sharing his business experience with the Valley County Economic Development Council as a Board Member. Eric holds a BA degree in History from Vanderbilt University and an MBA from Pepperdine. He has been married for 32 years and has two adult daughters. 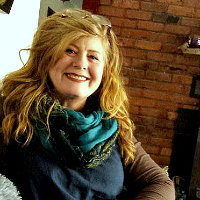 Shauna Della has been a full or part time McCall resident for the past 20 years. After earning her bachelors degree in Finance, then an MBA from Santa Clara University, Shauna started her 25 year career at HP. Moving to Idaho in 1993 with her young family, her two now-adult daughters grew up in Boise with idyllic summer trips to beautiful McCall. Upon retiring from HP, Shauna spent several years living mostly in McCall and loving the quiet of the town in the off-seasons. 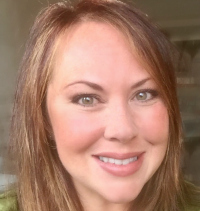 Shauna has since returned to work, and is now the CIO at the JR Simplot Company in Boise. Shauna and her family love to spend as much time as possible in McCall, cherishing the beauty of our surroundings and the wonderful family memories made there every year. 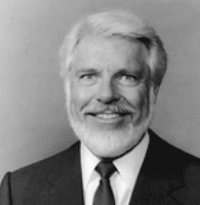 Bob Hallock hails from Ann Arbor, Michigan, and graduated from Indiana University. A business career situated him in San Diego for 33 years. Bob and his wife, Linda, have owned a home in McCall since 1999 and became permanent residents in 2010. Bob attributes his great appreciation for music to the cultural influences of both growing up in Ann Arbor and attending Indiana University. That appreciation continues to be enhanced by the McCall Music Society in his position of Vice President and coordinator of Second Sunday Sounds. 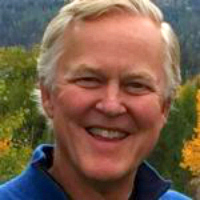 Bob Looper is the President and Managing Director of Brundage Mountain Company, with a focus on strategic planning and future development. Bob graduated from Colorado State University with a bachelor’s degree in Civil Engineering. 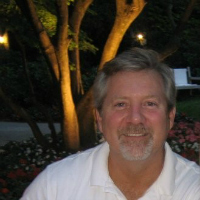 He is a founding member of US Holdings, LLC and a principal of Summit Energy, LLC. Bob has over 30 years of experience in power plant development including engineering, construction, financing and operations. 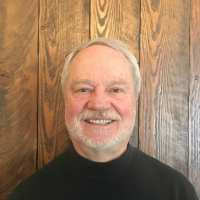 Bob has served on the Brundage Mountain Company Board of Directors since 2008, was a Board Member of the Bogus Basin Mountain Recreation Area and the Bogus Basin Recreational Association’s Executive Committee. He is the President of the Idaho Ski Area Association, a Member of the Board of Directors of the Payette Brewing Company and an active participant of the Campaign Cabinet of the Ponderosa Center. He and his wife, Kitty, have a home in McCall as well as Boise and have three adult children. Kathy and her husband, Tom, are retired and live full-time in McCall. They love the outdoors and spend their time skiing, hiking, biking and traveling. Kathy retired from Boise Cascade Corporation and OfficeMax after 30 years of employment in human resources and benefits. 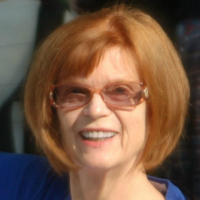 Kathy is a member of the Progressive Club and the Campaign Cabinet of the Ponderosa Center Board. Richard Surbeck moved to McCall in 2004 from Sioux City, Iowa. While living in the Midwest, Surbeck was employed as Senior Vice President of Dain Bosworth, a New York Stock Exchange member firm, now known as RBC Wealth Management. He was also active in a number of community organizations including the board of the Sioux City Symphony Orchestra Association, the Board of the Siouxland Regional Cancer Center, the Sioux City Rotary Club and served a three year term as a Director of the Sioux City Community School District. He was also active as a Junior and Senior Warden of St. Thomas’ Episcopal Church in Sioux City. Shortly after retirement in 1998, he was asked to serve as Interim Executive Director of the Sioux City Symphony. He held that position for a year. 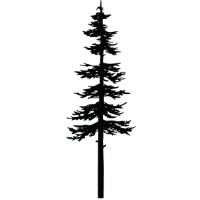 Richard is a member and Treasurer of St Andrew’s Episcopal Church in McCall and is a member of the McCall Rotary Club. He and his wife Margaret have four grown children, nine grandchildren and one great-grandchild.